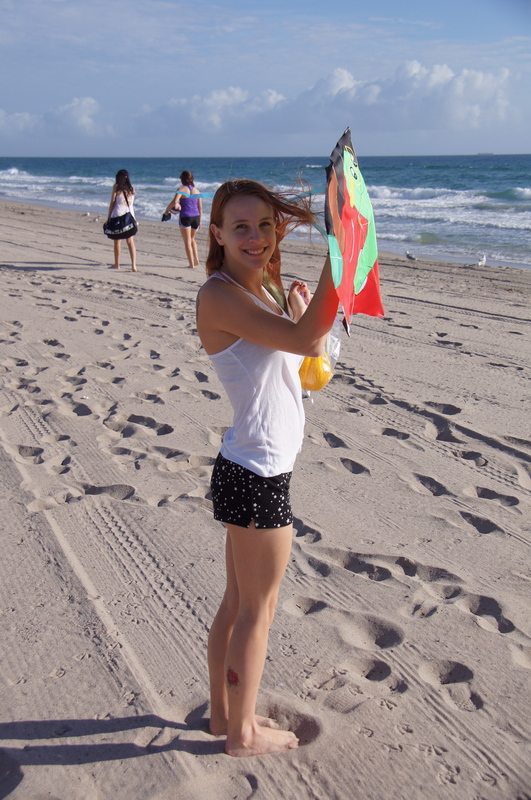 Kites at the beach… it’s all in the name of Physics! 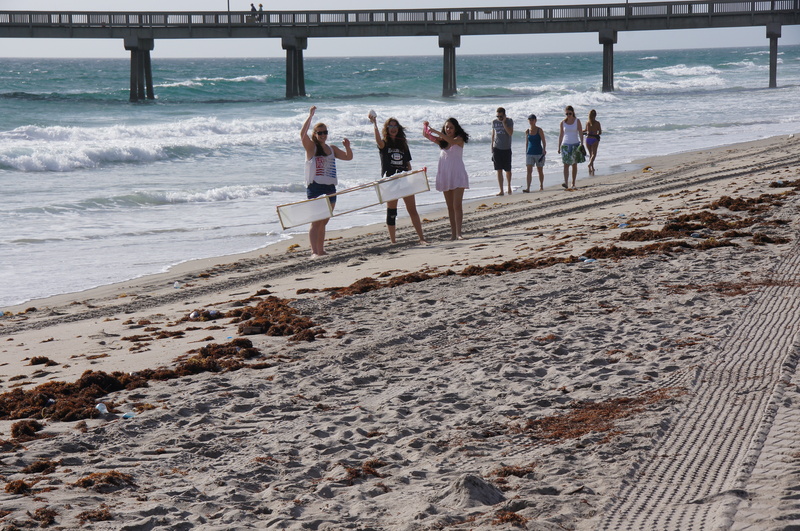 One of the best things about being a school in Florida, and a school so close to the beach, is the ability to use the beach for many learning experiences. 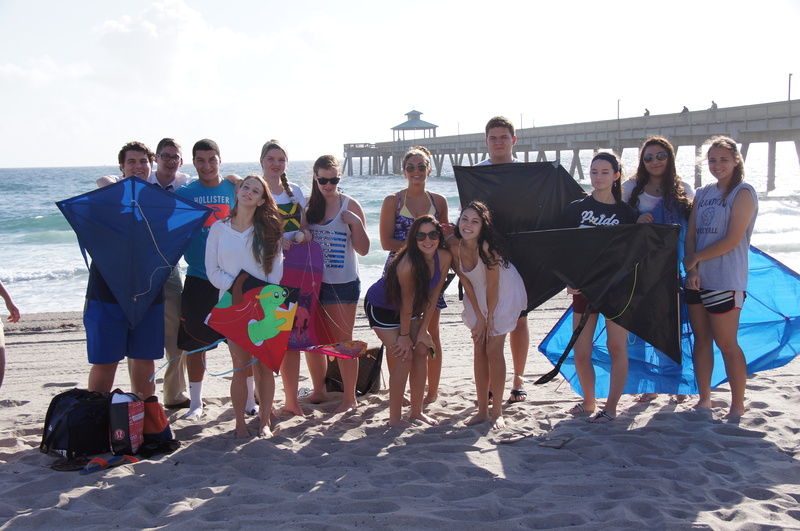 This week, Mr. Sack’s physics classes took a trip to the beach to test kites that they designed and built as part of their study of forces and thermodynamics. Basically, they questioned: what makes something fly? 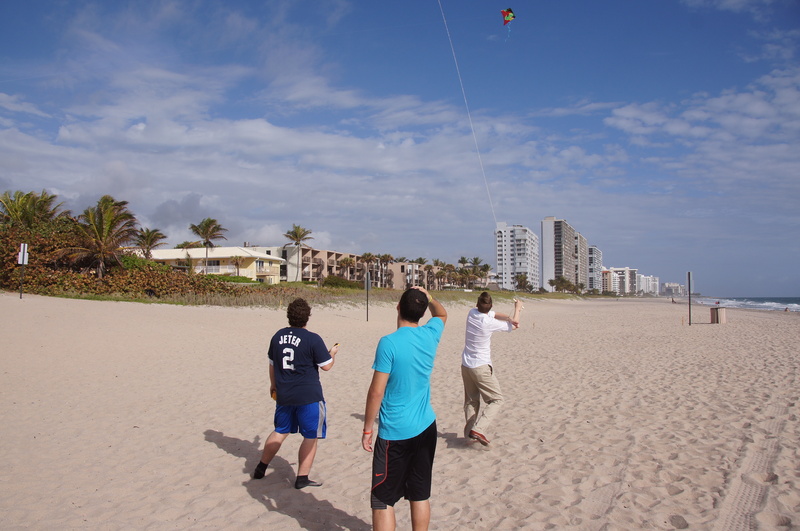 Students had to design a kite that would lift a grapefruit into the air. 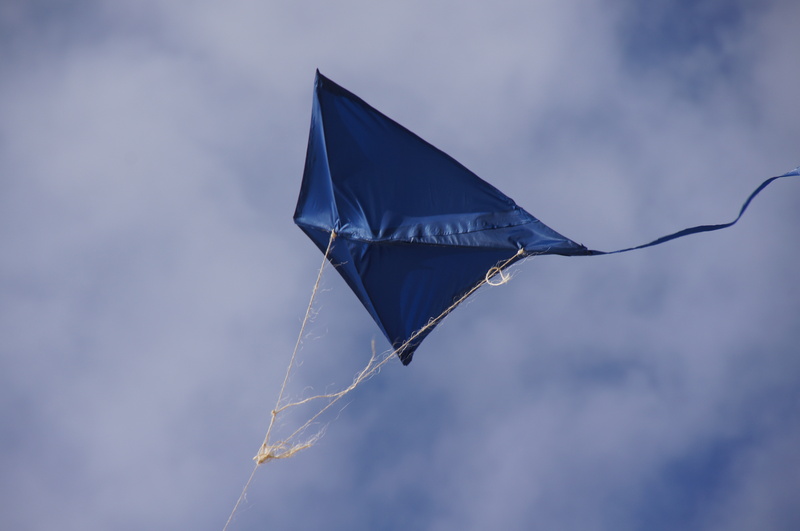 The kites could be any type of design–in fact, the students created a wide variety of designs including wing-shaped kites, box kites, diamond kite, and airfoils. 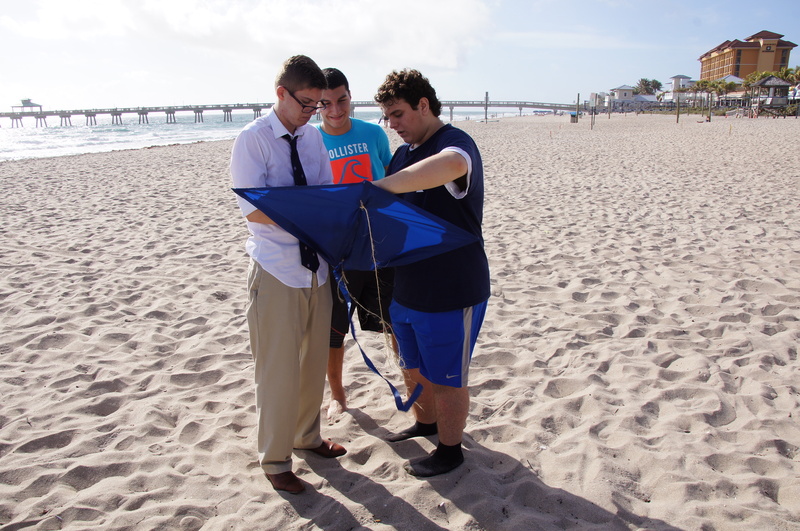 With the intention of flying the kites at the beach, students also had to also take into account the unpredictability of wind and any unexpected events when creating a kite design. 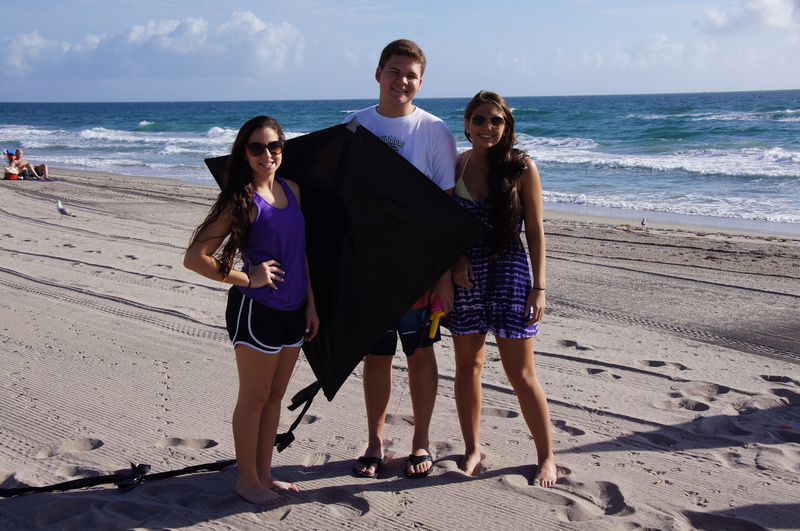 One student’s kite ripped during set up, but he was prepared and used duct tape to creatively patch it. His kite ended up flying very well! This project helped to reinforce the concept of Bernoulli’s Law, which is the basic principle used for lift and used to fly airplanes. 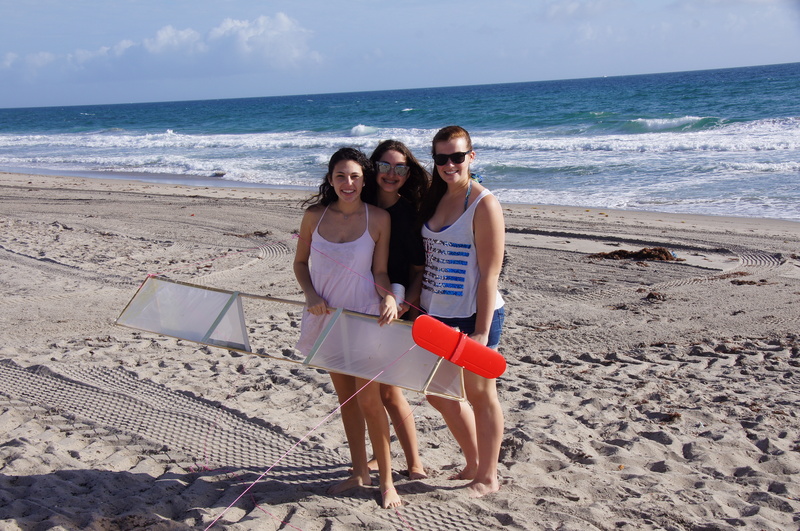 For another fun physics project, check out our post on the Slingshot Project. 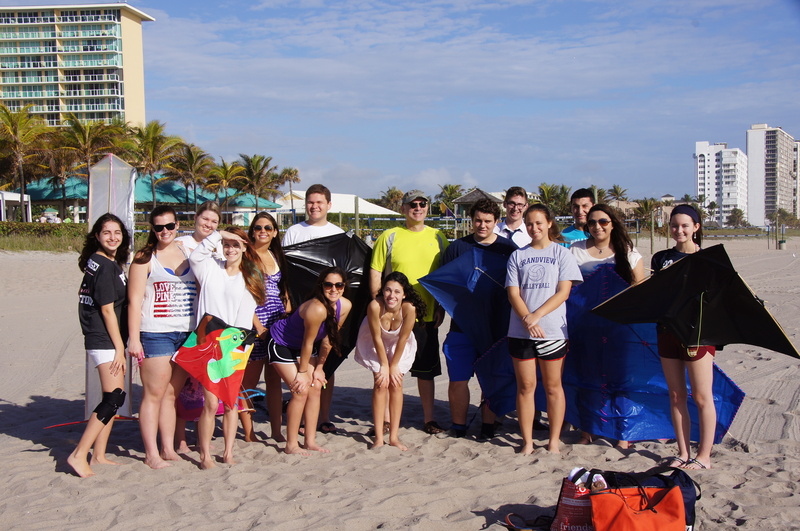 Tags: beach, Experiential learning, Physics. Bookmark the permalink.